Wave action at Wharariki Beach. 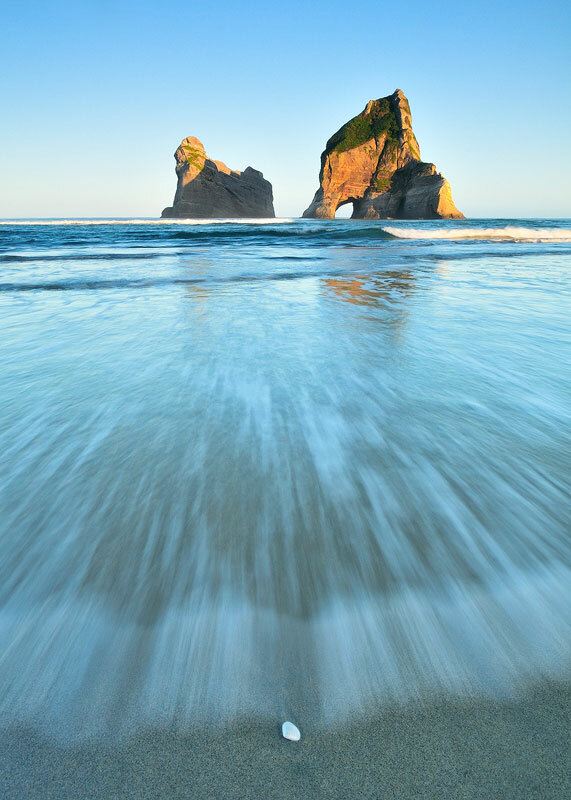 | Wharariki Beach, New Zealand. This shell is about to be washed away by the ocean, possibly farther onto the beach, or taken out to sea again.